It can be so hard, this idea of authenticity. 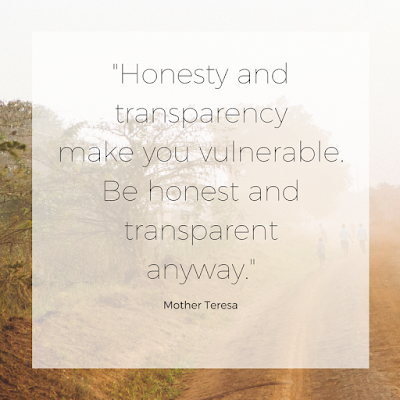 Being completely real, open, raw can be extremely scary. Maybe you were raised in a home where you kept your struggles or opinions to yourself, internalizing them deeply. Where you were unable to share or discuss things/ thoughts/ feeling in a healthy way with your siblings or parents because it was a better to pretend things were okay. Creating a fear that you did not know was being created simply because you had no outlet, no safe place to reveal your soul, or your heart. Feelings were simply not discussed. Maybe you are like me and you family talked about everything, likely to a fault. You shared everything. Over shared everything. The art of being authentic is complex, intricate, and completely necessary. Let me take a moment to practice what I am saying and writing about this month. If I am going encourage others towards authentic living and even the intentions behind that authenticity, I need to be sure I am being intentional and authentic. Today was hard. Brutally hard. A fight erupted in our house today between two of my children and I simply could not handle myself. I lost all ability to connect with my children. It became hard to just do anything rational or logical, which is actually pretty rare for me. I was not a good mom. I was not the connected mom I work so hard at being. I actually yelled at my children. I am NOT a yeller, so I immediately shocked my children causing two of them to burst into tears crying. I know it is normal to not always be able to handle things... but in the end, how I acted is not something I am proud of or should have done either. Parenting is hard. It is difficult and challenging. I causes emotions we have hidden deep down inside to surface in the most in opportune times. Today was hard and if I am being honest, I was not gracious or kind. I say this not for sympathy, retail therapy gave me that sympathy that I needed. I say this to be honest. Truthful. Real with you. I had this great post all ready for today and decided to change it... because I felt like I needed to be real and I needed to ramble a little bit. As hard as it can be, sometimes it can be healing. Allow your story to heal. Allow your words to heal. Tomorrow we will pick up where we left off... welcome to the detour.